There are many variations of pancake recipes. 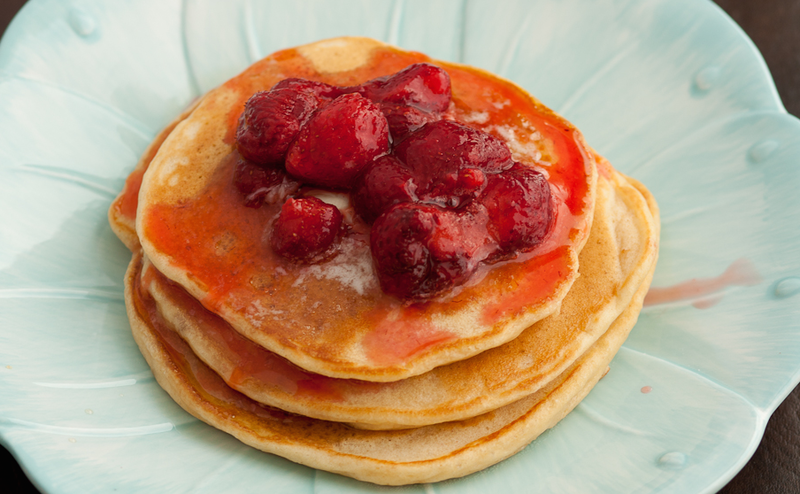 There are also many names: griddle cakes or griddle cakes or hot cakes or flapjacks. We are sure that recipes vary some by region, but what is probably more consistent is the use of the various names. we believe "pancake" is the most popular or at least most widely understood name. Add the egg and milk and stir gradually to make a smooth batter, add melted butter. Heat and grease lightly a griddle or skillet. Pour the cakes on the hot griddle/flat top. When the cakes are full of bubbles turn with a pancake turner, brown the other side. Grease lightly after each baking. Serve with fresh berries or maple syrup and butter.